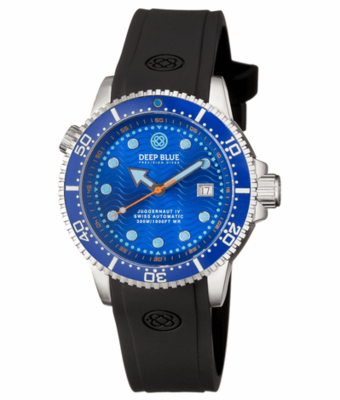 Deep Blue Shop is proud to be the official webshop for Deep Blue Watches in Europe. 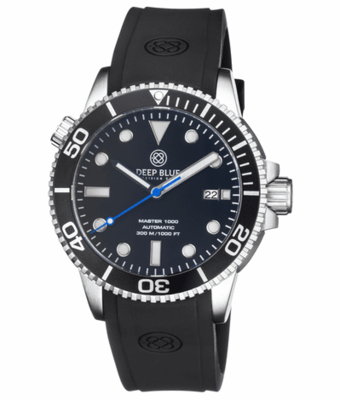 The official website of Deep Blue watches is deepbluewatches.com. 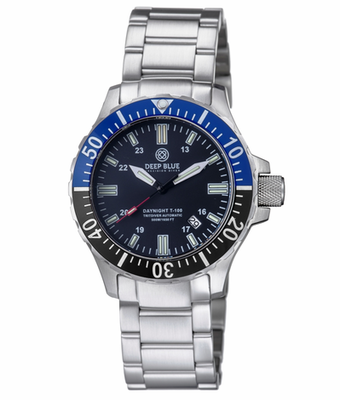 We are allowed by Deep Blue watches to sell as an official retailer and we order directly from USA stock. So if any watch is available on the USA website, we can sell that Deep Blue watch too. 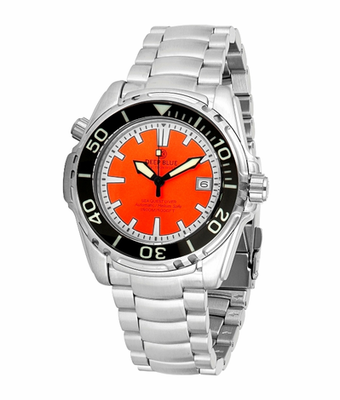 If you see a watch thats not on our site yet, please let us know as we will upload it for you. 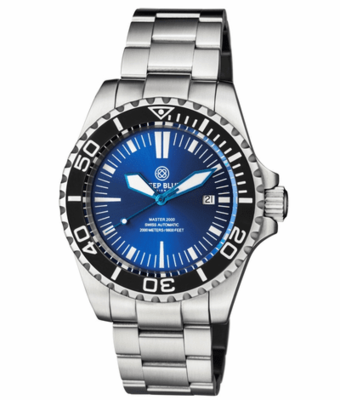 Most Deep Blue Watches are automatic watches. As specified per watch you will see what kind of movement is within the watch. In most cases swiss Eta or Miyota movements are being used. 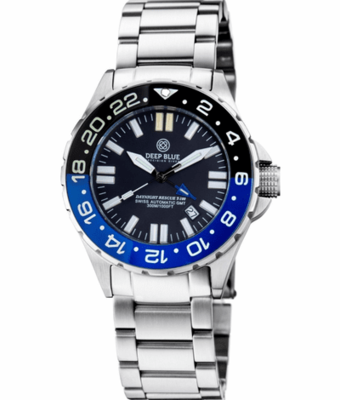 Our Deep Blue Watches stand for superb quality and design. In most cases you can choose your own brace to the watch! This adds in the service we would like to give our customers. 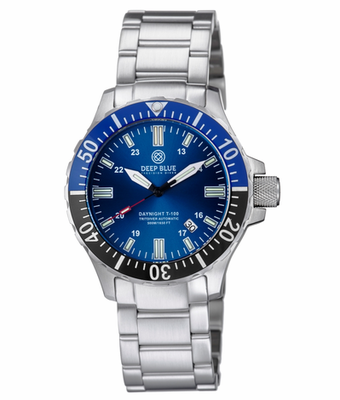 As we are official dealer of Deep Blue Watches, we can use the factory's service. We will give full warrenty on all Deep Blue Watches we sell for two years on the movement. 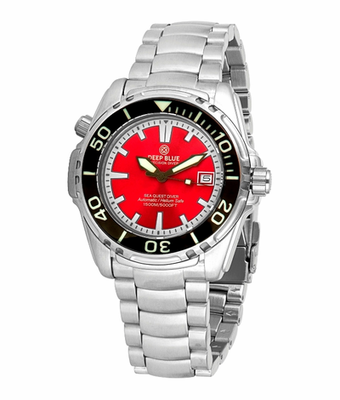 So every watch will be serviced or repaired by the official factory in the United States. As we do not believe in a "nine to five" mentality we changed our customer support to the evening if you want personal support by phone. So you can reach us every evening of the week from 18.00 till 22.00. If we are busy with another customer , feel free to leave a message in our voicemail as we will call you back. We will help you in buying your watch as we will support you when you already bought it from us. DELIVERY TIME, SHIPPING AND NO EXTRA TAXES!! As we are an official dealer of Deep Blue Watches, we can order the watches straight from the factory in the United States. We will do so once or twice a week. 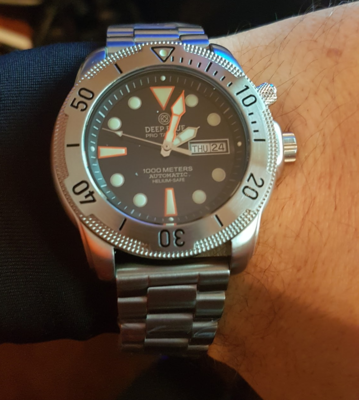 After a few days of shipping we will receive the watches and we will check the Deep Blue Watches very thourougly on any faults. After this checkup we will ship out the watches with DHL . 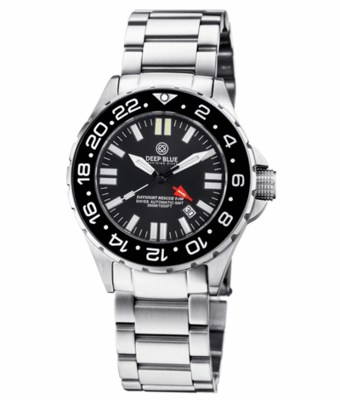 Usually the watches will arrive 3 to 5 days after shipping depending on the country we have to ship to. 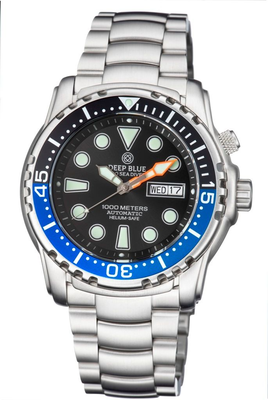 As we as Deep Blue Shop Europe imported the watches, we will pay for all taxes and import fees. So you will not have to pay any more taxes or fees. 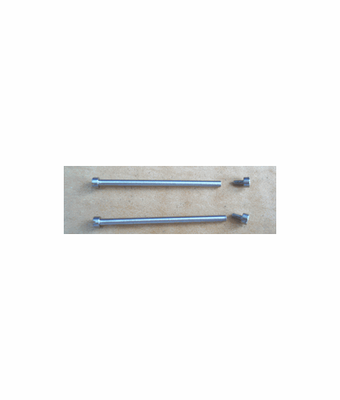 The prices mentioned in our webshop are the prices you will have to pay. For the shipping cost to your country you can select your country in the shopping basket. 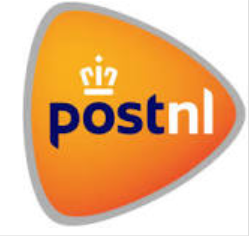 You will see the cost of shipping automaticly added to the total costs. You will recieve a tracktrace from DHL when we ship out the watch to you after we have checked the watch. All shipments will be insured and need a signature to recieve the watch. This way we and you are fully insured on a good delivery. Unfortunately, sometimes customs will check the shipments. Of course this is a good case, but it will slow down the delivery time of the delivery of the Deep Blue Watches. This is fully beyond our way of handling. We hope you will not be angry with us when this happens. We will always give you an update if this happens.